The Minnesota Timberwolves’ disappointing season will limp to a finish without three of their better players. 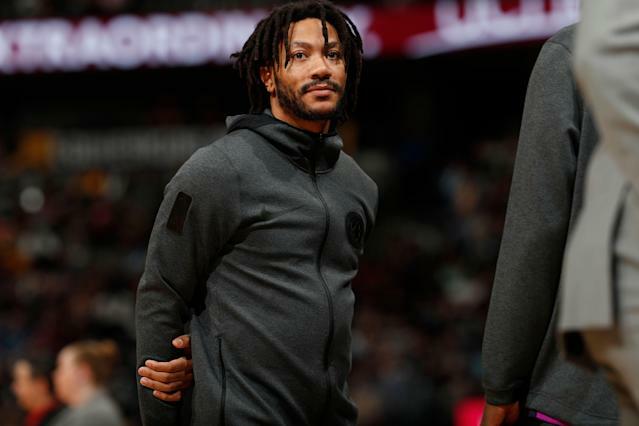 The team announced Thursday that it is shutting down guards Derrick Rose and Jeff Teague, and forward Robert Covington for the remainder of the season. Rose and Teague have been sidelined recently with injuries while Covington, acquired in the trade that sent Jimmy Butler to Philadelphia, hasn’t played since hurting his knee on Dec. 31. Rose missed the team’s last four games while dealing with soreness in his right elbow. An MRI revealed that Rose has a chip fracture and loose body in the elbow. Rose has endured multiple knee injuries in his career but has experienced a bit of a revitalization with Minnesota. The 2011 NBA MVP is averaging 18 points per game, the most since his lone season with the Knicks in 2016-17, mostly in a bench role. The 30-year-old is also shooting a career-high 37 percent from 3-point land. Like Rose, Teague has been out for the last four games after reaggravating a left foot injury that kept him off the court in December. The team said that Teague was given an injection to treat his chronic inflammation and will wear a boot for the next three weeks. Teague, in his second year in Minnesota following seven years in Atlanta and one in Indiana, is averaging 12.1 points and 8.2 assists per game. In November, Covington was traded from Philadelphia to Minnesota alongside Dario Saric and Jerryd Bayless in the blockbuster trade for Butler. An All-NBA defender for the Sixers last season, Covington immediately was put into the starting lineup for the Wolves and played 22 games for the team before suffering a bone bruise in his right knee. Covington was expected back on the court at some point, but suffered a setback that requires further treatment. As a result, he is not expected to return to the court this season. Minnesota has a 32-39 record and is in the midst of a four-game losing streak. With 11 games to play, the Wolves are 9.5 games back of the eighth and final playoff spot in the Western Conference.